After test and debug, board design can be as time consuming as it is important (See our Embedded Market survey for more on development times). We recently covered power supply design – an important part of any system. There are several methods to go about designing a board’s architecture, including discrete, a discrete/integrated combo, or module-based, as Felix Martinez of Intersil Corp. compared. 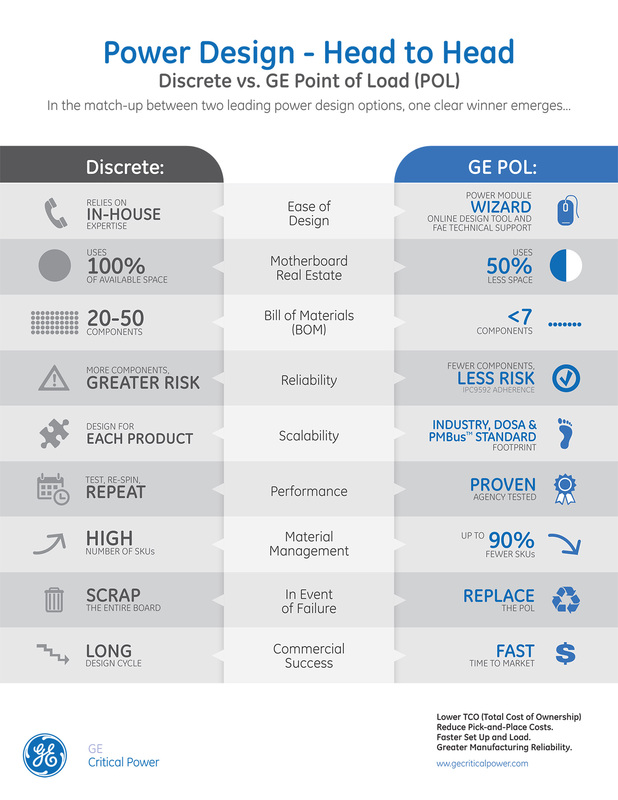 GE Critical Power created an infographic to compare discrete with another modular method – their Point of Load (POL) modules. For time- and resource-constrained projects that have to be reliable and perform up to increasingly high standards, POL might be worth taking a look at.